The Anjilvel Law Group is a dynamic boutique firm that specializes in providing comprehensive legal solutions for complex family legal and estate planning matters. 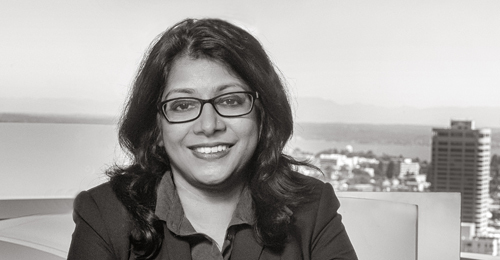 As an attorney who has practiced extensively in Washington State, California and Canada, Sunitha has comprehensive experience with Southeast Asian cases. As tax law is fundamental to estate planning we are pleased to work with Turquoise Tax Advisory, a CPA firm that specializes in cross border clients. I am committed to providing quality representation to my clients. I strive always to deal with my clients with respect, compassion, and understanding as we work together to navigate an often complex legal system.